missing code in the downloaded form is. Can you please have a peek and show me in the correct direction? 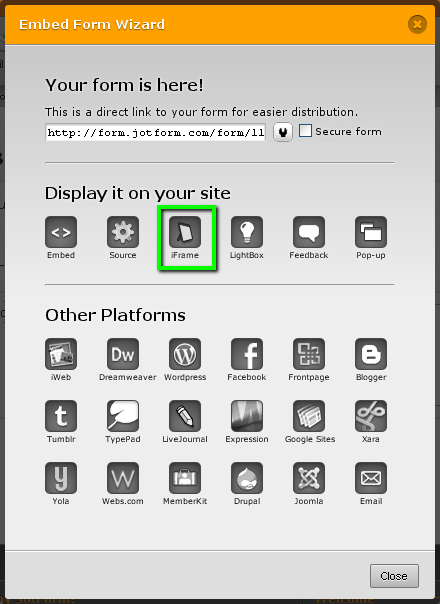 Embedding the form via the iFrame method should resolve the problem. It's probably a conflict between the jQuery scripts on the page and Prototype framework on which our forms are based.